“I went school up to standard two as my mother think it is more important for me to learn working at workshop rather than going to school. Now I come to work at 9 o’clock in the morning and go back home at 9 o’clock at evening. I have almost forgotten what I learnt in school. ” – said Maruf (12) who works in Three wheelers repairing workshop at Tuker Bazar area of Sylhet Sadar. As per a recent survey conducted by UKBET, around 150 children are engaged in Government declared hazardous works at that area. 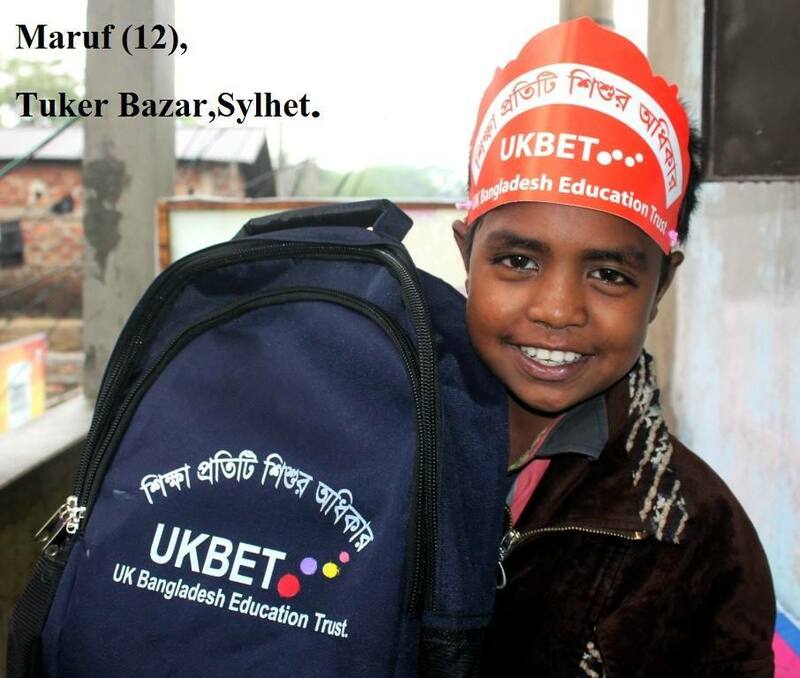 UKBET opens the door of its fifth center for working children at Tuker Bazar by providing education material to the working children. A colorful rally marched the Tuker Bazar area after the inauguration program. The children like Maruf who are engaged at identified hazardous works of workshops, factories in this area will be able get formal and non-formal education, basic health services, safety equipment, entertainment and many other services from this centre. UKBET will also continue advocacy with the employer to ensure conducive work environment .The related support and training will be provided to the employer. The advocacy will be done with the parents for not sending their children to work .The necessary support will be provided to the children for their going back to school or vocational training. This is the 5th centre of this type under the working children project of UKBET. More than 300 children have been taken under the project so far. Gradually the project will be expanded to other areas of Sylhet where children are engaged in hazardous works.